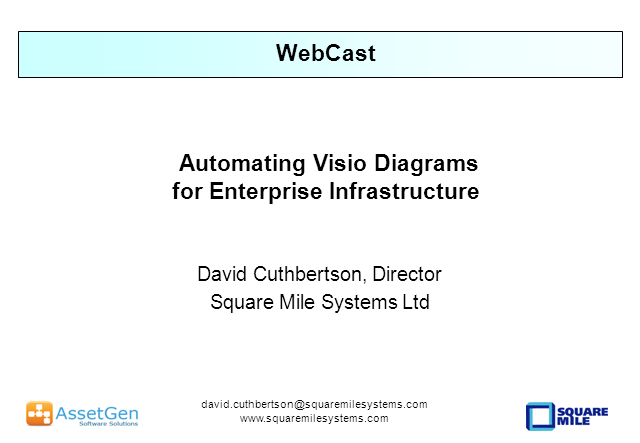 Maintaining large numbers of Visio diagrams of complex IT environments is now possible using new automation techniques. We'll cover how to have overnight updates of racks, floor plans, networks, applciation service maps, etc. from an infrastructure configuration database. Maintaining an infrastructure documentation portal has suddenly become easier for mutli-site, enterprise environments.